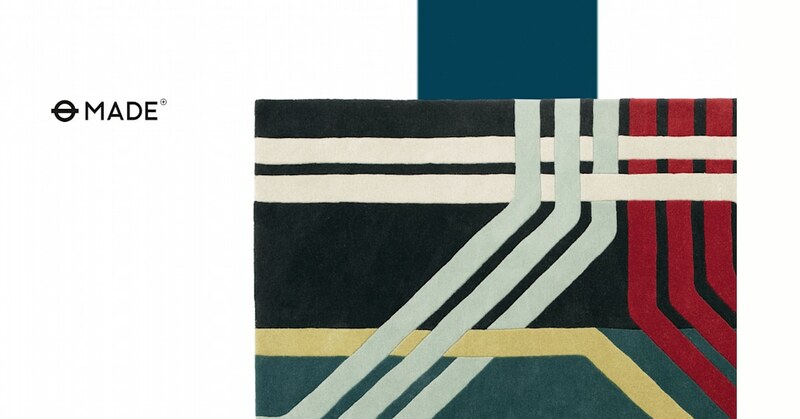 The colours and shapes on this rug might look familiar. That’s because they were inspired by London’s famous Tube map. An intrinsic part of the city’s history. The tube map story intrigued us - it was designed by Harry Beck in 1933, a young electrical draftsman. He based it on circuit diagrams, which we’ve emphasised in our design. We had it made in India. It was hand tufted by our expert manufacturers, and feels super soft under your toes - thanks to the high quality wool, woven in a cut pile.